In the last few years we have witnessed crucial theoretical and experimental advances in our understanding and control of cold and degenerate gases. We are now at the verge of exploiting the quantum nature of these novel systems to develop new concepts and technologies for ultra-sensitive measurements. This new generation of devices will be characterized by long coherence times and lengths, accurate quantum states tailoring and, in a broader perspective, by the possibility to create and exploit entanglement for Heisenberg limited interferometry. 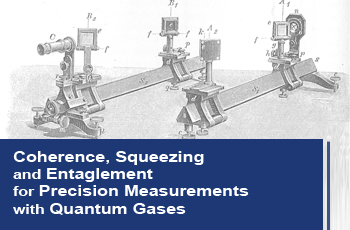 This conference will be among the first to focus on precision measurements with degenerate atomic gases.